Welcome to A-Plan, Ipswich, your nearest branch. 4 Princes Street, Ipswich, IP1 1QT mile away. 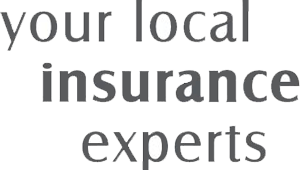 As your local insurance broker, A-Plan Ipswich has been serving clients in your area since 2014. We have specialist facilities for private car, home & contents and commercial vehicle insurance. Our Ipswich branch is one of the newer branches in the group opening in November 2014. As such we have a much smaller team than the long established branches & you will find the office has a friendly family business feeling. If you speak to us you will be delighted to hear that there are no switchboards to navigate or recorded messages to wade through, just good expert advice and competitive premiums from a panel of over 30 top insurers. We are located in the heart of the town just a stone’s throw away from the Giles statue & Barclays Bank, at the town end of Princes Street. So if you would rather come into the office (we love to meet our clients) you will be welcomed with a smile and a tea or coffee. Your Ipswich Branch Manager. Get the right cover at a great price! Put our local team to the test to see how we can help you.